In his first interview since it was announced that he’ll be joining Marvel’s Daredevil Season 2, Jon Bernthal says he’s “thrilled” to be playing the Punisher. 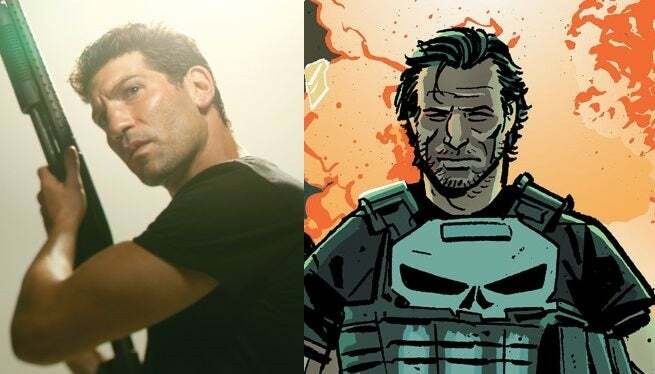 "Oh man, it's just a huge honor to play the part and that's all I can say about that," Bernthal told Disney subsidiary ABC News. "I'm very thrilled and we haven't started yet, but I'm very much looking forward to it." Considering he’s been given the role of a major character in the flagship series of Netflix and Marvel’s Defenders line of prestige TV series, it would be more surprising if he had anything less positive than that to say. Until now, Bernthal has been best known to fans for his role as Shane Walsh in AMC’s The Walking Dead. Since then he’s worked on the TNT series Mob City, and appeared in films including Martin Scorcese's The Wolf of Wall Street and David Ayer's Fury. While the details of Frank Castle’s role in Season 2 of Daredevil have been kept under wraps for now, the series seems to want to use the Punisher in an antagonistic role, using his ruthless, often fatal brand of revenge-fueled vigilantism to force Matt Murdock (Charlie Cox) to examine his own personal code of justice. Daredevil will return to Netflix for Season 2 in 2016.